Screen time can be a hot topic. 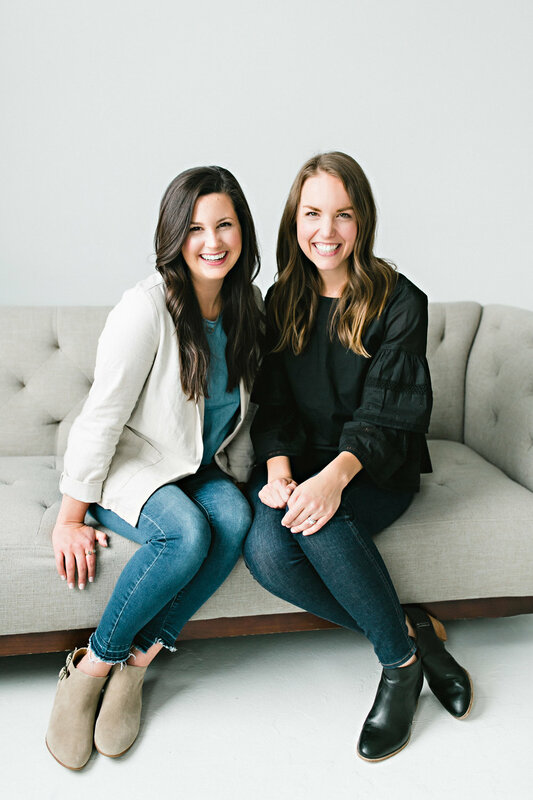 We wonder, “Is there a formula for the right amount of TV time?” “Is 30 minutes or 45 minutes holier?” “Do you think my kids will be quiet if I put on a show and hide in the kitchen?” But what we need to ask is, “What’s going on in my heart?” In this episode, Emily and Laura share gospel hope for two issues in many moms’ hearts: guilt and fear. Whether you’ve used screen time to avoid the craziness of the day or created a system of rules to guarantee a particular outcome, the gospel meets you there with wisdom and hope. There’s no formula for raising godly children. Instead, we follow the Christ’s example by offering our kids God’s expectations and grace as we disciple them. In this episode, Emily and Laura interview Elyse Fitzpatrick about faithfulness in the early years of motherhood. Elyse isa wife, mom, and prolific author of many books that apply gospel truths to daily life. While we’re called to faithfully nurture, train, and discipline our children according to God’s word, only Jesus can transform their hearts and teach them to love his design. Let’s give our kids the greatest example of faith by being sinners who run to Jesus with them. Regardless of how long it’s been since having a baby, we can easily tie too much self-worth to our external appearance. Our confidence can be sky high one morning when we see that “number we’ve been waiting for,” and drop to the ground when it we see a friend who looks better-than-before-baby. But what does the gospel say about how we should view our MomBods? In this special “welcome back” episode, newly postpartum moms Emily and Laura discuss common cultural mindsets about body image, encouraging themselves and others to believe the truths presented in scripture. God isn’t shaming our postpartum bodies, and we shouldn’t either. In today's culture, there is much debate about food, from the snacks on your toddler's plate to the liquid in their sippy cup. For every article that advocates for a certain diet, there is another one that says you should avoid it. Even the most research-savvy moms have a difficult time understanding how to love their family well by providing good food (without going overboard). In this episode, Emily and Laura discuss some common heart issues and gospel freedoms surrounding the issue of food. 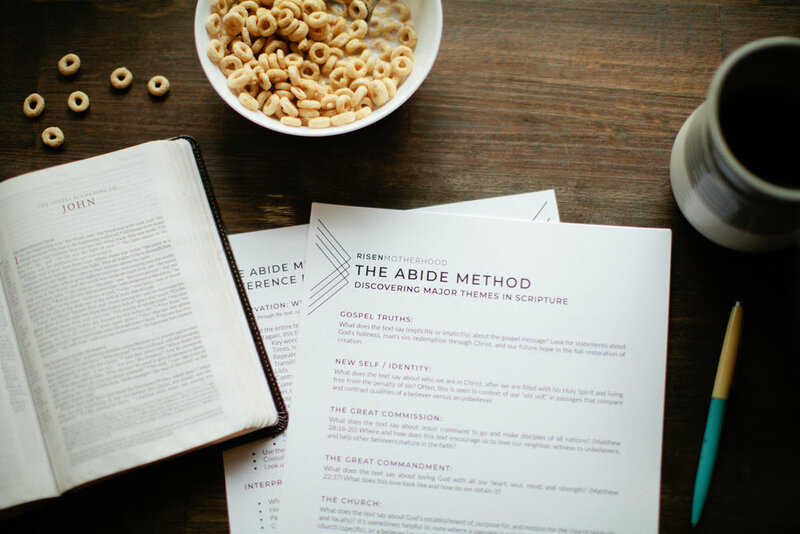 Holding to perfect food standards shouldn't be more important than the connection and fellowship we enjoy during meal times in the name of Christ. When it comes to anger in motherhood, it's easy to be caught in a cycle of guilt and despair. However, the good news is that there is hope in Christ and power to fight sin in practical ways! Just like a person on a diet doesn't keep tempting foods within reach, with God's help, we can find ways to limit the temptation to sin in our anger while we process through the issues of the heart. In this show, Emily and Laura discuss common triggers for outbursts in motherhood, and share helpful hints for prevention. Because of the gospel, even a worn-out frustrated mom is under grace, with the power of the Spirit to pursue holiness from a new heart. Ep. 49 || When Momma Gets Mad, Part 1: What's Under the Surface? Frustration, impatience, losing our cool, having a bad day, feeling overwhelmed; we all have different ways of describing an angry heart-attitude towards our children. Although we know what it looks like when we lose self-control (and we're experts at feeling guilty about it), we rarely stop to think about why we're so upset in the first place. In this episode, Emily and Laura share their personal struggles with anger and impatience, and discuss how the good news of the gospel is transforming their hearts. At the end of the day, we are not God and we don't deserve any of the kindness he's shown to us in Christ. Shouldn't we remember that, rejoice in it, and extend that same grace to our children? As winter presses on, so do the fevers, empty kleenex boxes, and doctor's office visits. When an illness means so much stress on the whole family, how can mom avoid bitterness, trust God and walk with grace? In this episode, Emily and Laura sympathize with the exhausting aspects of cold and flu season, while also sharing ideas about how the gospel transforms our perspective on common winter illnesses. Regardless of whether our little one has an ear infection or a bad cough, God calls us to the radical response of giving thanks for His goodness in all things. Adoption should matter to every believer, because every believer is adopted. In this episode, Laura shares a bit about her family's journey to adopt two children from Bulgaria and why they were motivated by the beautiful picture it paints of the gospel. Even if you don't personally plan to adopt, this episode is for you too! All believers need to love orphans, supporting those on the front lines of this calling. We hope this episode plants seeds, waters seeds that God has already planted, and reminds you of the great love God displays for us through adoption! Moms hear a lot of messages when they scroll through their news feeds; "You are doing enough. If you just love your kids, you're doing a good job. It's okay to be falling apart, we all are." While those messages might offer some temporary help, are they the whole truth? 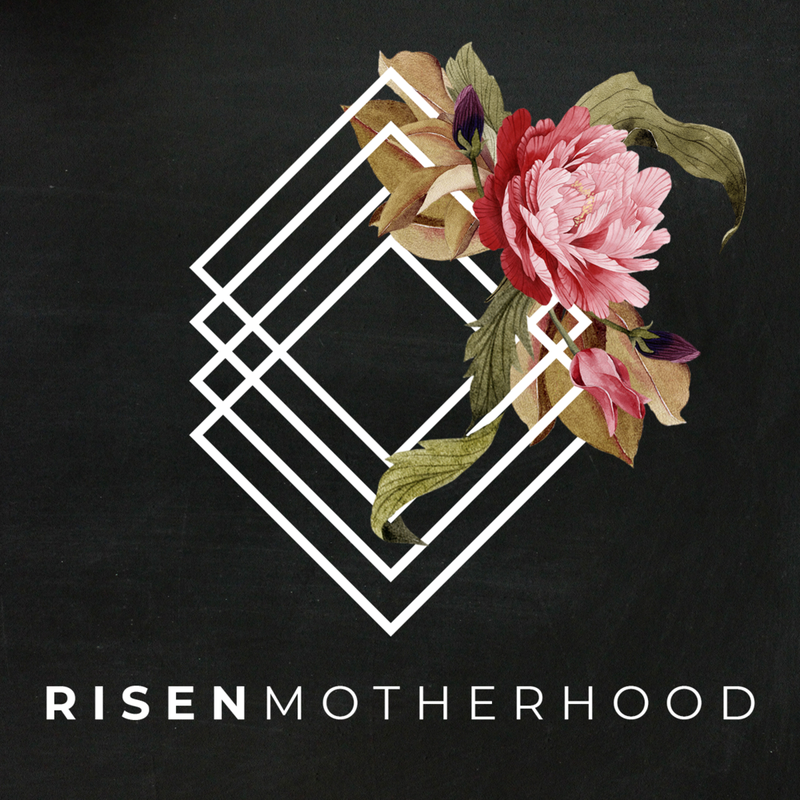 In this episode, Emily and Laura discuss what it looks like to give moms an injection of lasting hope and how to discern messages that are contrary to the gospel. Moms need more than just sips from the water-bucket of mom culture, they need help and encouragement from the eternal, life-giving well of Jesus. Maybe it's related to a petty thing, or maybe it's rooted in a big daily decision, but all moms face familiar feelings of guilt. The question isn't, "Do we battle guilt as moms?" but, "What will we do with it?" Will we continue to live under a dark cloud of condemnation, or bring our questions to the throne of grace? In this episode, Emily and Laura explore the common underlying reasons for mom guilt, and start the conversation about how to deal with. Regardless of what you discover about your heart as you examine your guilt in light of scripture, there is only one outcome in the gospel: freedom. In motherhood, we all value different things. Whether it's a clean house, a well-kept schedule, a rockin' postpartum body, a perfectly balanced work/home life, an easy day, an obedient child, a certain type of diet, a frugal budget, or praise for your hard work, all moms have preferences and desires. The problem isn't necessarily with our ideals, but with our hearts. In this episode, Emily and Laura discuss the common idols in motherhood (including their own). While we can sometimes be guilty of making good things too important, in Christ we are cleansed from all of our idols, and are set free to worship God. Maybe you have kiddos that nap for hours on end, giving you time to balance numerous responsibilities. Or maybe, you go to battle everyday just to get 30 minutes of peace and quiet. Whatever your circumstances, Jesus understands what it's like to be needed, and he also understands laying it all down for the sake of those he loves. On today's episode, Emily and Laura discuss the common challenges of naptime and how to make the most of the situation. Because ultimately, all of our time belongs to the Lord, and no amount of peace and quiet will provide the lasting peace we crave.